See also original XEN Win 1 plan location on their website! VPS activates right upon payment and is ready to work in a few minutes. At any time you can increase the capacity of your VPS server by changing a tariff plan. In this case you don’t have to reconfigure your servers. Everything is performed automatically without service interruption. 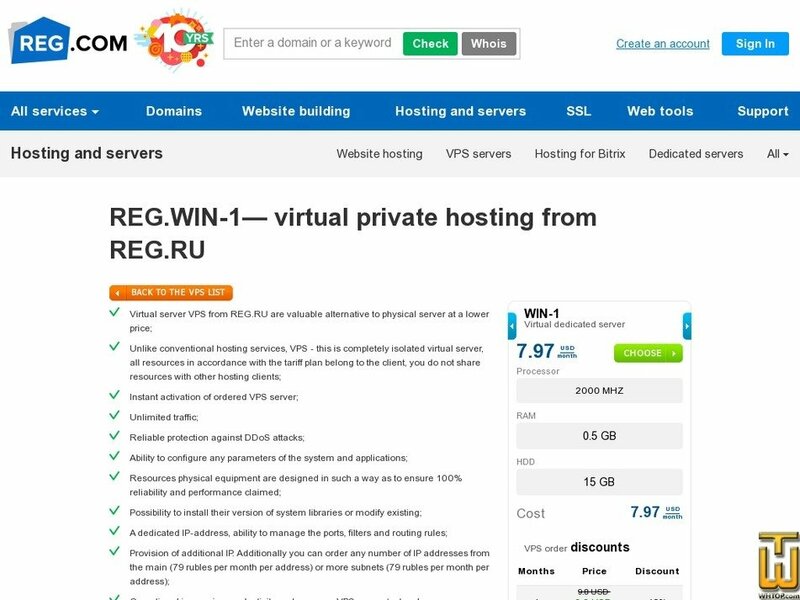 REG.RU warrants service quality and provision of the declared resources. Physical equipment resources are designed to ensure 100% reliability and the declared capacity. REG.RU says no to overselling! Price: $ 5.90/mo. VAT 18% inc. Client isolation. Allocated resources (KVM-virtualization). Root access. Ability to install any software.